Parents today are struggling to understand why we need a "new math". Wasn't the old way of doing math adequate? There is simply no way to avoid discussing the transformation in mathematics education, when we talk about working with students with learning disabilities, such as dyscalculia. The reason being that children with these disorders desperately require the assistance their parents provide at home. Yet, simultaneously, as a country, we are in a place right now, where the way parents were taught, does not match the way students are now being taught. Many parents are understandably frustrated while trying to help their children. Most adults today remember the algorithms they learned in the past (you know, when you added 48+9, you learned to write the seven under the nine and carry a 1 over the 4). Their children, on the other hand, might use any number of strategies for the same problem. They might say 48+9 is similar to 48+10-1, for example, or 50+9-2. On the other hand, they might say it's like having 40+8+9. Or perhaps they draw pictures of circles, which don’t make sense to you. The last strategy the child today might use is the regrouping that you learned as a child! 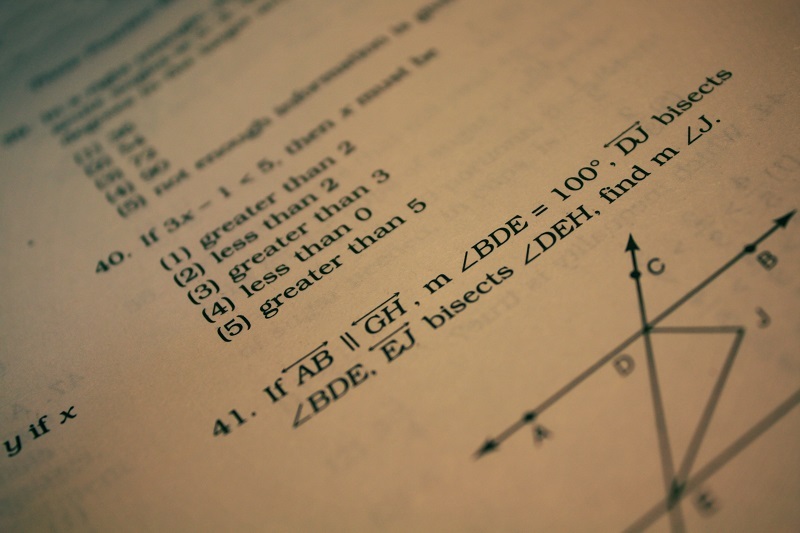 As frustrated as you might feel while helping your child with homework, educator Pia Hansen attempts to explain how this “new math” may actually be helpful, even invaluable, to your child. The point is, “different” isn't necessarily bad. For all the Americans terrified of mathematics, because it never came to make sense to them, this “new math” offers hope to their kids—particularly if there's a learning disability involved. Let's take a step back. What is missing in children with dyscalculia generally? Many of the core skills lacking are linked to a solid number sense. Thankfully that's precisely what these new standards are tackling, by teaching children to play with numbers in multiple ways. It also teaches the children that when one way of solving a problem feels particularly difficult to them (perhaps due to a weakness from a disability), they can still solve the problem using another strategy with which they feel more confident. I suspect if there's one group of teachers that was most ready to transition to the new math standards, it was the special education teachers, who have had to teach and develop unique ways of solving problems for decades. These are lessons and strategies I was using (pre-Common Core) to teach my students with learning disabilities years ago. In fact, I suspect if there's one group of teachers that was most ready to transition to the new math standards, it was the special education teachers, who have had to teach and develop unique ways of solving problems for decades. The old way has always failed our students with special needs. The challenge now will be for regular education teachers (and state curriculum) to move at a pace that makes sense for the entire class with the new strategies. 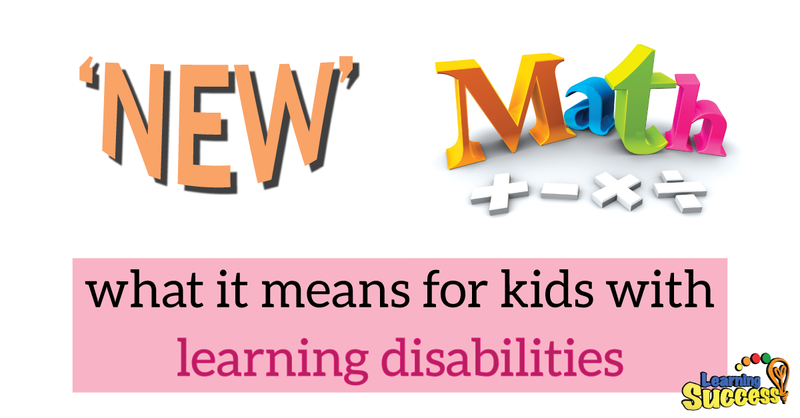 Thankfully, however, number sense is now built into the day for all students, including our students with learning disabilities. Embracing the new math might be an important step for a parent of a child with a learning difficulty. For many the traditional methods have never worked. Looking at math in new ways can be an effective part of a strategy to help a child succeed. Of course the other part of that strategy is making sure to know where the core problems are.